GameStop CEO Paul Raines and Wedbush Morgan analyst Michael Pachter have both hinted in recent weeks that Sony and Microsoft will avoid a head to head battle in the next-gen console market in 2013. Either the PlayStation 4 or the Xbox 720 will sit out next year, waiting for a free and clear 2014 to make a move. Microsoft’s next console codenamed Durango looks the likely candidate for a 2014 release. This move may be less about strategic placement and building a library of games than it is about production issues with the machine. 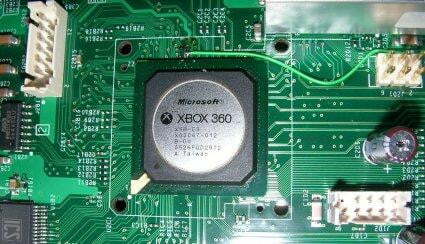 Tech website SemiAccurate (via MCV) reported this week that Microsoft is having problems producing the Xbox 720’s Oban. Rather than a delightful scotch with a smoky finish, Microsoft’s Oban is the GPU/APU microchip powering the new console’s slick visuals. Three factories are producing Oban for Microsoft but as of now the yield rate is bordering on catastrophic. To clarify, the yield rate in microchip production is the number of chips produced that actually work. For example, back in January when Oban first went into production at what one source hinted was IBM, Microsoft placed an order for 10,000 chips with the expectation that yields would be around 20 percent. That’s just 2000 Oban microchips, just enough to produce, say, a fleet of development kits. The problem today is that Oban yields are “painfully low.” SemiAccurate’s source indicated that the yield of functioning microchips for the Xbox 720 may be below single digit percentages. This means that for thousands of chips produced, mere hundreds work. SemiAccurate’s sources say Microsoft is gunning for a fall 2013 release for the Xbox 720, but unless Oban yields are improved, Microsoft’s machine will indeed slip into 2014. Microsoft certainly wants to avoid the typical shortages that accompany the release of any new console. (The Xbox 360 was difficult to find in stores for months after its initial release in 2005.) Unless it remedies these production problems in the next eight months though, there’s no way Microsoft will be able to have a successful launch in fall 2013.